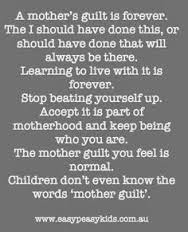 Today I am writing about mumma guilt. It has taken me 5 yrs to feel it but all I can say is "dislike it a lot"
Today I sent him to school and I feel so guilty for it (sorry to classmates, if they get sick) we went to the dr yesterday at 10am and by the time we got in the car after being told he had a viral thing. He asked for McDonalds for lunch (which we had because he had waited well for 45 min to see dr for a 5 min appointment) and then after rest time he ran around the backyard for an hr playing with his brother. So I decided if he could do that he would be right for school. (did wake up with a small temp which had come down before school) so I dosed him up with neurofen and sent him to school. I will be the mum waiting at school gate with Panadol in hand ready to dose him again.....feel like a bad mum and guilt is unbelievable. So I am sorry to his classmates and I guess I am sitting here waiting for a phone call to collect him from school......before my little man nap time. So anyone else had the mumma guilts and what did you do to get them confession time?